The drive to Adakoy is spectacular. Whether you are arriving or departing you will be mesmerised by the stunning views along the waterfront journey. 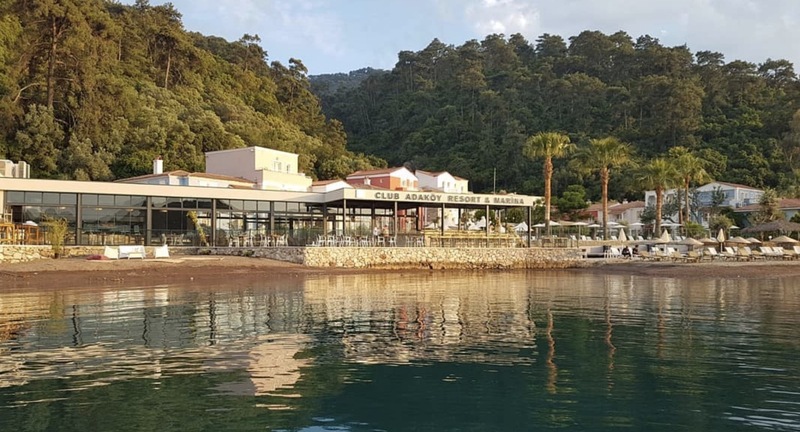 Adakoy is just 20 minutes from Marmaris which many of you know and either love or hate! 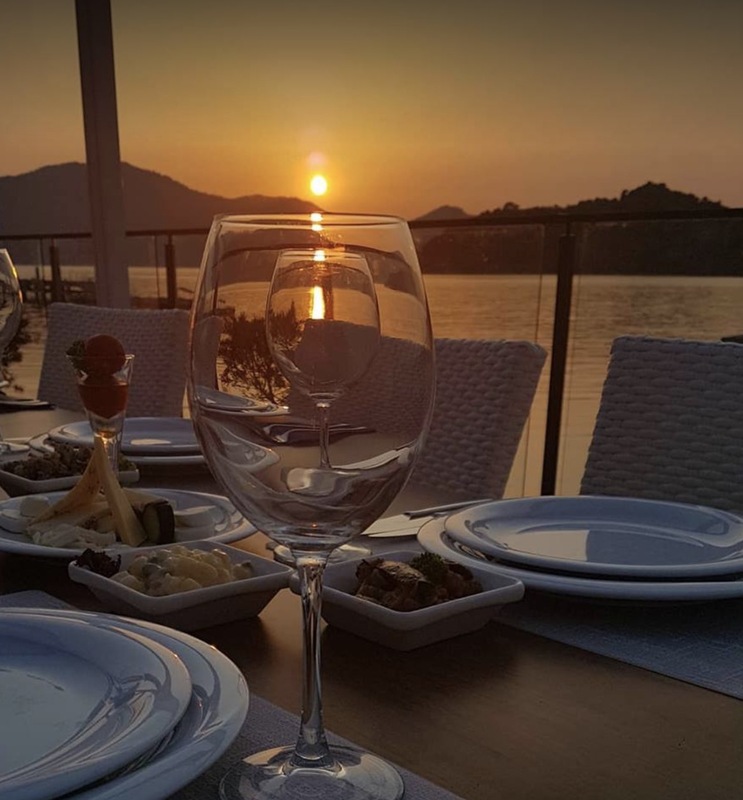 If you are one of those of you that love Marmaris you can easily take a taxi or water taxi for an evening of entertainment returning to sleep peacefully at Adakoy. Beachfront location situated in the National Park area. Adakoy is a special place for those looking for a tranquil, secluded and peaceful vacation. A green and clean environment without noise pollution. The hotel has a warm and friendly atmosphere, a place where you can relax and enjoy all the facilities on offer. All 110 rooms are located around the 30 meter swimming pool, many with fabulous views over the bay of Marmaris. Every room has a terrace or balcony. Facilities include fitness centre, swimming pool, beach and water-sports centre. Located in the National Park so you can step out of your room and take a walk or a hike (!) in the mountains surrounding the hotel. Double, twin or single rooms available all with balcony or terrace with stunning views of the sea, pool or river. All rooms have separate bathroom with shower, air conditioning, telephone, small fridge, flatscreen TV, safe, tea & coffee making facilities. Rooms are cleaned daily. Extra beds available if required. Enjoy the many beach activities and water sports on offer including waterskiing, wake boarding and jet ski hire. There are kayaks and SUPs available for hire whilst you are staying in the hotel. Depending on availability you can hire equipment to take with you on charter.